A science-class field trip to the Everglades is supposed to be fun, but Sarah's new at Glades Academy, and her fellow freshmen aren't exactly making her feel welcome. When an opportunity for an unauthorized side trip on an airboat presents itself, it seems like a perfect escape--an afternoon without feeling like a sore thumb. 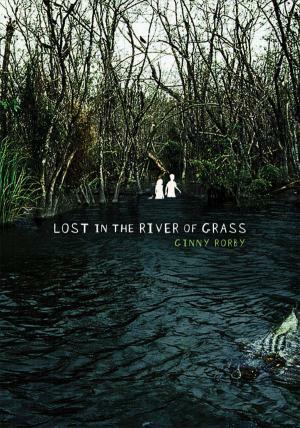 But one simple oversight turns a joyride into a race for survival across the river of grass. Sarah will have to count on her instincts--and a guy she barely knows--if they have any hope of making it back alive. This is one of these books that I hesitate to review, because it is so good I am afraid my review won't do justice to it. It is simply amazing. The start by being selfish and cranky and fighting with each other because that's how teenagers express their fear. Then they work with each other and try to look after each other. They end up finding themselves and growing into adults, right there in the 'jungle'. There is of course a budding romance between them, but it isn't all lovey-dovey. It is my favourite kind of romance, the romance that is born from friendship, from learning to work and fight and survive together. They discover each other's beauty, they discover the beauty within them, they discover the beauty around them, a wild, unstoppable, dangerous beauty, that is beyond their wildest imagination. They become different persons, they are transformed. Although this book isn't christian fiction and has no element of christianity whatsoever, it brought me infinite closer to God, and it made me tear up in gratitude and amazement to the Maker of such wonders, of such beauty both in nature and in the heart of a teenage boy and girl. Both characters are quite immature and sometimes silly at the beginning of the story, but that made them so much more realistic and likeable to me. It also made their journey that much more worth, both to them and to me. P.S. I read it on the NetGalley, but I am soooo buying it, too. It is out now. Great review! I saw this on NetGalley and I was curious about it, especially since I live in South Florida, within driving distance of the Everglades. Sounds like a great book!